The Bollywood style of dance is not everyone’s cup of tea and definitely not YouTuber Q Park’s. The Bollywood style of dance is not everyone’s cup of tea and definitely not YouTuber Q Park’s. However, he managed to turn quite a number of heads on the streets of New York with his hilarious moves. 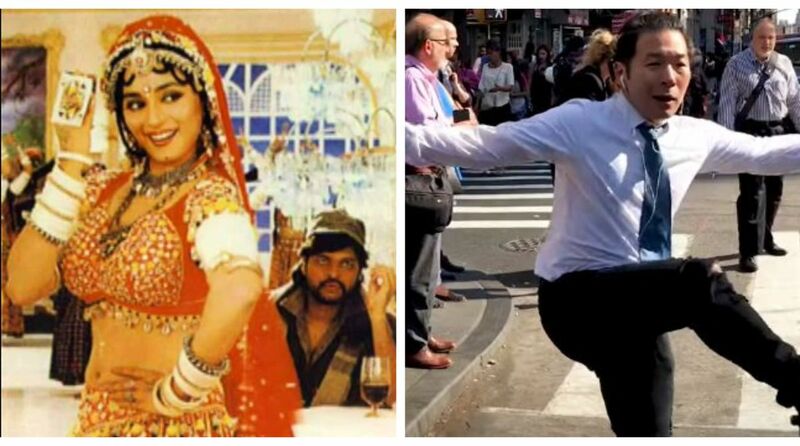 Although Q Park’s impromptu dance in public is nowhere near Madhuri Dixit or Hrithik Roshan’s moves whom he tried to imitate but it’s surely entertaining. The YouTuber chooses songs such as Choli ke peeche, Dhoom, Chamak Challo and performed on them in front of random people. Well, we do not know that Bollywood buffs will be impressed with him or not but a few onlookers were dazzled. Check out the video here. This video has garnered a lot of thumbs up in a short span and gained over 7 lakh views. Q Park, who shot to fame for walking around the New York streets in a romper, often creates such tickling videos. And, doing such odd acts in public is his forte.